Helloooo there, we've been having a bit of blip with blogger and a dodgy Internet connection over the last couple of days so apologies if you called by yesterday expecting to see this months giveaway post. This month I though we'd give away the full kit to make the Come Away with Me album from yesterdays post. It's been a really popular album and great to make and give away as a gift too. The project sheet for the album is also available in the Project Sheet section of our shop. To be in with a chance to win this months blog candy just leave a comment on this post or over on the You Tube vid before midnight on 31st August. The winner will be selected from comments left here and on my YT channel, and announced here on the blog on 1st September. Today's photo book in a box project is a really quick make and a great gift idea if you have just a few pictures you want to pull together in a hand made way without spending the hours putting together a larger album. The box is 7" x 5" and 1/2" deep and the book holds seven 6" x 4" photos. Here's a few more pics of the box and pages. another very beautiful project Clare, great papers and design. How gorgeous! Love this collection too. This is just beautiful! Loving the papers. Love those papers. Your projects have given me the courage to cut and use Graphic 45 papers instead of just looking at them and worrying how best to use them, thank you. Great mini album. thanks as always for sharing. What a great little album! It's amazing how versatile that paper is. Boy, would it be wonderful to win the collection! Cute little album Clare. Love those papers. I have been working the last 2 days on the 12 days of Christmas Albums. Got interrupted today when son came over but that's o.k. Take care, love the ideas. Talk to you soon. Hope your tooth ache is gone gone gone!! I've just recently stumbled across your website and have bought loads of G45 papers as a result. Love your mini albums! Thanks for the chance to win. Lovely. Crossing my fingers & toes! I love this album, great paper!!! Fab new project! Love An Eerie Tale papers. I've been watching for the project sheet for the Come Away with Me album. I adore it! Wonderful project! Thank You for the chance to win. Cute little album..nice for a grandparents brag book or vacation book! Afternoon Clare, Wow !! the August Giveaway is a stunning gift for one lucky person !! I'm also loving your little album, ideal for a few select piccies, love it !! Wow, absolutely gorgeous give away, Clare! Love, love, love all your albums with their clean lines! :D And theG45 papers are simply fabulous! Just love your projects! 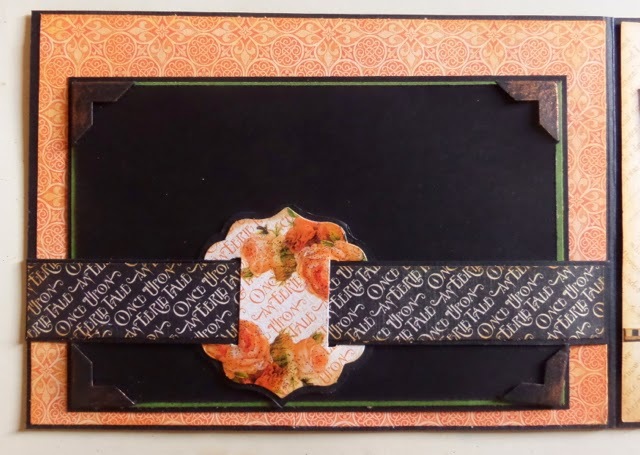 Very inspiring to see how you use the fab Graphic45 papers. Thanks for all your Work! This is a lovely idea to gift a few photos. I will have to try this. The papers are beautiful too. What a great combination. What a fantastic giveaway! Thank you for the opportunity to win! Your albums are beautiful! I would love to win and play with some Graphic 45 paper! What a lovely album you made! I am a great fan of your tutorials, thanks for doing that for all of us. Oh my goodness!!!!!!!!!!! Such a gorgeous album. Thank you for the giveaway! Wonderful project! Great for a giveaway! Nice project for a Christmas album. as usual I'm hesitant to cut into my G45 papers. waiting til I found the perfect use for them. this may be it! thanks for sharing. beautiful album! I would love to win this giveaway!! I am new to all of this and am trying to learn as much as I can. Another lovely album. It would be great fun to try my hand at this project, even though the result would be most unlikely to do justice to your creation! Thank you for the opportunity to win, and for all the enjoyment and inspiration your wonderful works give me. 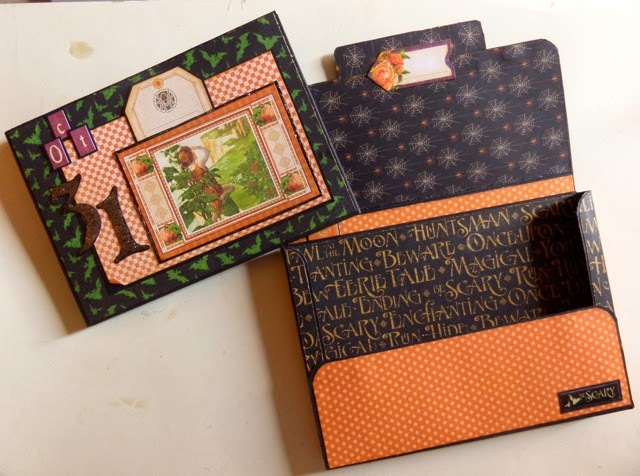 Hi Clare, I'm just loving this new little album and such a great giveaway this month too. Hi, Clare~ Your blog entries and videos always make me want to rush right into my craft room to create something similarly beautiful to all your pretty things. Thanks for all your wonderful generosity! I have discovered you and your beautiful works just 2 hours ago and I have immediately subscribed your youtube channel. Hi Clare, I love your work and your tutorials are so easy to follow! I would love to have the opportunity to create this Come Away with Me project - thanks so very much for sharing!! Graphic45 and halloween get me so excited. I know this isn't strickly halloween, but some of the things here coordinate so well with past releases. Thank you so much for all your video tutorials .. I have just finised your "How to make .. Noel Christmas album" ... and I loved every minute of all the Work..
... The album I made looks so great .. its not for Christmas..its for every day..
And its my very first album, but not my last! I will follow your blog to see new from you .. Thank you Clare for this beautiful project. I will be traveling in the UK in September & had so hoped to book one of your workshops but could not work out the time & our schedule. So I will continue to follow you online & appreciate all the inspiration & creativity you share. Oh how at times I wish you lived in the states...completely selfish comment I know, LOL! Your work is beautiful and inspiration is unending. Thanks for the chance to win such a lovely giveaway! Just right for a special event. Beautiful, as always, Clare! Thanks for all your wonderful inspirations! Hi Clare! I just discovered your blog via your You Tube channel and I will definitely be subscribing. Your projects are so inspiring. This one is perfect for keepsaking those photos on All Hallows Eve and the box is perfect for gifting to grandparents who couldn't be there in person. I love Graphic 45 papers and your blog has given me several ideas on how to use them. Your generous give away is perfect for all those romantic get aways with your true love. 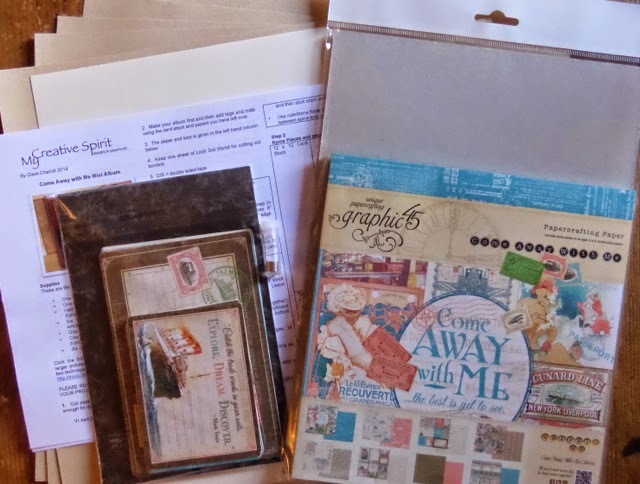 I wish I could join you in the UK at one of your scrapbooking retreats. They sound so darn fun! J.S. I love that album! Great, as always, Clare.